Bermuda continues to be a favorite worldwide hotspot for yachting and sailing activities. There are many who come to the island, rent a sail boat to explore the many islets, coral reefs, marine life and historic shipwrecks that are lying in the Atlantic surrounding Bermuda. Numerous races take place in Bermuda between March and November, where hundreds of yachters participate and thousands come to watch. First, how to go about exploring the island and its various water areas by taking a sailing boat or chartering a yacht. Second, about the various yachting & sailing clubs and associations in Bermuda. And Third about all the yacht races that take place in the island that are organized by local yacht clubs and also the International championships & open ocean races where Bermuda serves as the finishing point. There are yachts and catamarans offered by many operators either as a group tour skippered by an experienced captain, or on charter packages. Rentals are also available. Depending on the size, they can carry from 30 to 300 people on board. Larger the size, better it will be equipped to go beyond the protected harbors and out into the open ocean. However the heavier boats will need to be on the deep sea and away from the shoreline. Small boats on the other hand can get close to the coast or small islands, and offer you more intimate experience with the nature like swimming, snorkeling etc. If you like to relax and leave the entire sailing to the crew, there are regular sailing tours offered by the operators that include sightseeing cruises with glass bottom views, Sunset & Cocktail cruises, ones that show you famous homes and hideaways along the shoreline, and some even let you take part in offshore water sports like snorkeling, kayaking and others. If this is what you are looking for, check out Boating & Sailing Tours for all the available options and the best cruise operators in the island. However remember that the course of the cruise is determined by the captain in such cases and also altered depending on weather and tide conditions. You can also enjoy all the above in a private boat that provides more flexibility of choosing your locations and activities. There are Crewed Private Boats that can be chartered for few hours, half day or even full day. You can combine the cruise with some variations like BBQ on board, private parties, water sport activities and more. But there are many who would not like to let go the thrill and excitement of sailing the boat by themselves. Of course you will need to have sailing skills for that. You have an option of renting a skippered un-skippered bareboat. The skippered one comes with an experience captain who can provide you all the guidance necessary. Whereas in a Bareboat Charter, you get only the boat and the equipment, and everything is left to your skills and knowledge of the ocean. In the latter, you will be required to show your qualification and in any case will be given a preliminary lessons on the locations of Bermuda's many treacherous reefs and how to navigate through them. 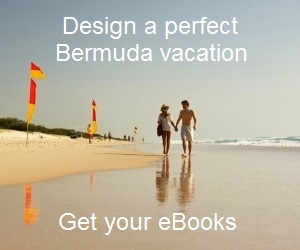 If you are a first timer in Bermuda or not an expert, you will be better off to take a skipper with you. June to November is the official Hurricane Season in Bermuda. You should try to know about any hurricane warnings and prepare accordingly if you are planning to sail around this time. September and October months have recorded maximum hurricane impacts in Bermuda. So where will you take your yacht to? You are likely to face the strongest currents and largest waves towards the north eastern side of the island in the Atlantic. Most of the veteran captains will advice you to sail within the protected harbors or water areas like the Great Sound. You will be able to discover many tiny islands there and also see some lovely marine life and corals. Hamilton Harbor at the eastern end of Great Sound is also a good place for sailing. Read the charter contract from the company before you book a yacht or a catamaran. The companies have differences in terms & conditions of the contracts. If there is one person within your crew who has sailing skills, it is generally enough to legally charter a bareboat in Bermuda. There are large number of coral reefs hidden under the water that can be very hazardous. You should therefore take proper information about location of such reefs. Catamarans have double hulls and are generally easier to navigate compared to yachts. Spear-fishing is prohibited within one mile of any shore in Bermuda. Sewage should be stored in holding tanks. There are many types of charter operators in Bermuda - Large and Small, and Tier-1 and Tier-2. Larger operators will have wider range of boats whereas the smaller ones may give you better services. The Tier-1 operators usually give you brand new boats (less than 4-5 years old), whereas Tier-2 ones may be cheaper although they often give you older or refurbished boats. So you will need to decide based on what you need. If unsure, it's advisable to go through a charter broker. Here are some of the companies in Bermuda offering sailboat & yacht charters and resntal. Charter Bermuda - 60-foot catamaran or smaller boats. Wind Sail Charters - Morgan Yacht charters of three different sizes (60', 51' and 41'). They can also book 10 other yachts to carry groups of up to 200 people for any other water based activities. Royal Bermuda Yacht Club located at Hamilton City. Check out the link for details. Sandys Boat Club: Somerset, Sandy's Parish. Mid Atlantic Boat and Sports Club: 37 Seven Wells, North Shore Road, Devonshire. Phone: 441/295-0172. Spanish Point Boat Club: Pembroke. Phone: 441/295-1030. Bermuda J-24 Class Association: It's a member of the International J/24 Class Association, and also affiliated with Bermuda Sailing Association. Check out Bermuda Marinas to know about all the yacht marinas in the island. Between March to November you can see hundreds of splendid yachts from all over the world moored in the marinas in Hamilton Harbor or St. George's, and even at the dockyard. They mostly come to participate in the various races that are organized by the yachting clubs in Bermuda. Most of the races take place in the Great Sound water area while some are also held at the Hamilton Harbor, Mangrove Bay in Sandys and at St. George's. The best vantage points to see the sail boats anchored or sailing across the harbors would be the Albouy's Point in Hamilton City and Barr's Bay Park also in Hamilton. However, if you want to see the races taking place on Great Sound, the best vantage points are the Somerset shoreline in Sandys and Spanish Point at Pembroke. There are also many international open ocean races that take place that finish at Bermuda. This is probably the greatest yachting event in the history of yacht races taken place in Bermuda - The oldest and the most coveted International trophy, the America's Cup. Six of the best international yachting teams are participating in this grand event which starts with the Louis Vuitton America's Cup World Series and finally culminates into the challenger yacht taking on the defender of the cup. Visit 35th America's Cup to know the developments. Bermuda Gold Cup: One of the most popular yacht racing events in the island, this regatta is held in October every year and organized by Royal Bermuda Yacht Club. The race is held at the Hamilton Harbor and the club usually opens out its premises to the public during these days to watch the race, and provides concessions and other facilities. Fitted Dinghy Race: This is an annual dinghy race organized by various clubs in the island and participated by islanders and even visitors. The dinghies can carry sails anywhere between 300 to 1,400 square feet. The race is held between May to September on various set dates. The venues include Mangrove Bay in Somerset, Hamilton Harbor, Granaway Deep and St. George's. This great spectators sport allows the crew members to jump off the boat to reduce the overall weight and finish faster. Newport Bermuda Race: Held once every two years in mid June, This classic race has a 635-mile course on Atlantic and is one of the world's premier open ocean races on sail boats. It starts from Newport in USA and ends at St. David's Head in Bermuda. Marion Bermuda Yacht Race: It is held Biennially in June on odd-numbered years. This is an open ocean yacht race where even amateur skippers can also participate. The race starts from Marion of Massachusetts and ends at St. David's Head in Bermuda covering a distance of 645 nautical miles. Bermuda Cruising Rally: This annual yacht race takes place in June. Starts from Greenport at New York and ends at St. George's Harbor. Annapolis Bermuda Ocean Race: Takes place in even numbered years. Starts from Annapolis in USA (Maryland’s Chesapeake Bay) and ends in Bermuda at St. David's head. This is the race with longest course on the US east cost as the yachts traverse a distance of 753 miles with unpredictable winds, swirling water currents and adverse weather conditions amongst several other obstacles. There is also heavy traffic at the initial part of the course. The race is however open to all including first timers and veterans. The race first took place in 1996. Charleston to Bermuda Race: Held once every three years. The race is organized by the South Carolina Maritime Heritage Foundation, Charleston Ocean Racing Association and Royal Bermuda Yacht Club. Daytona to Bermuda Race: Also known as TransAt, this 950-mile race was originated by Halifax River Yacht Club in Daytona, Florida. It ends at St. George's Dinghy & Sports Club Club in Bermuda. North American Optimist Dinghy Championships: When held in Bermuda, the regatta is organized by the Royal Bermuda Yacht Club, International Optimist Dinghy Association and Bermuda Optimist Dinghy Association. Participation takes place from various countries including USA, Bermuda, Brazil, Argentina, Canada, Japan, Mexico etc. One Two Single Handed Race: Start from Newport (Rhode Island) and finishes at Bermuda. Sir John Cox Yacht Race: Held annually in October. Sunfish Sailing World Championships: Bermuda has been a host to this championship in the past. Malcolm Smith of Bermuda is a former champion and had won the Sunfish World Championship three times in a row. Women's Match Race Championship. This race is held periodically in Bermuda. This is an eight-team qualifier series to the ADT Gold Cup. IOD class of sailing boats are used. Select and book a cruise or sailing tour using World's #1 online service (Viator) at low prices. 1) Sailing to Bermuda on Private Yacht. Hi, bareboat charters are offered by limited companies like H2O Sports, Blue Hole Water Sports etc. But they are mostly smaller boats and typically a Sunfish (13-ft). Most sailboat operators in Bermuda offer full service sailing charters because of several reasons - 1) Bermuda's water is full of reefs, many of which are invisible and it's not easy to navigate around them even if you have reef and navigation charts, 2) Full service charter demands are more and the package cost and thus profit is much higher. Go through my section on 'Sailboat rentals and Charters in Bermuda' in this page. You will get links to the operators and their contact info.